As our previous post pointed out, there are many ways to promote movement at work. Incorporating office amenities such as walkable hallways, standing meetings, or exercise facilities can “design-in” opportunities for movement, express brand identity and values, and assist in strategic efforts such as recruitment and retention of talent. But as widely as individual habits and preferences vary, so will the utilization of provided amenities. And when the average worker today spends 5 hours and 41 minutes per day sitting at their desk 1, the employee workstation could be the most important factor in a healthy workplace. The crucial fact here is that everyone in a typical office environment spends the bulk of their day at their workstation-- but not everyone can or will use the gym facilities, walkable corridors, or stairs. As we’ve discussed, the health research continues to emphasize that movement throughout the day -- not exclusively standing or sitting -- is likely the key to staving off chronic disease and weight gain. And while exercise is an important aspect of a healthy daily routine, so is physical activity throughout the day. How does this happen? Diet and exercise are important factors, but NEAT is also part of the equation. In the case of the 150 pound individual above, three hours of sitting in one day amounts to 306 calories burned, while standing for three hours equals 471. A difference of 156 calories may not seem significant, however over the course of a year could add up to 16 pounds lost! Multiple small scale studies demonstrate that introducing height adjustable desks can successfully reduce sitting time during the workday by an hour or more each day. Another study found that replacing sitting with standing for just two hours per day has a positive effect on these metabolic factors, which have been linked to heart disease and diabetes risks. 7 With fewer hours in an inactive state, office workers can enjoy the benefits of more NEAT: increased caloric burn and healthier blood sugar and fat levels, which in turn may lower chronic disease risk. Standing and walking are load-bearing activities, which promote healthy bone density and engages muscles and tendons. They also promote blood flow and circulation which benefit the mind as well as the body. In a study sponsored by the Australian Heart Foundation, participants reported that ease of workstation adjustment was rated among the most important factors when transitioning to a height adjustable workstation. 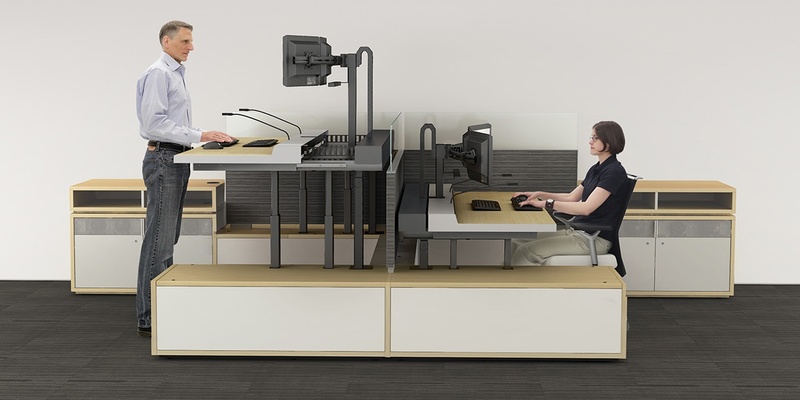 11 An electric-adjustable workstation enables the user to move seamlessly between sitting, standing and perching positions at the push of a button, which increases convenience and likelihood of use compared to a crank-adjustable, notch, or fixed height standing desk. Traditional task chairs are designed for optimal comfort during periods of prolonged sitting, but a 2001 study of deskbound office workers found that the average person made 53 changes to his or her torso position in an hour. 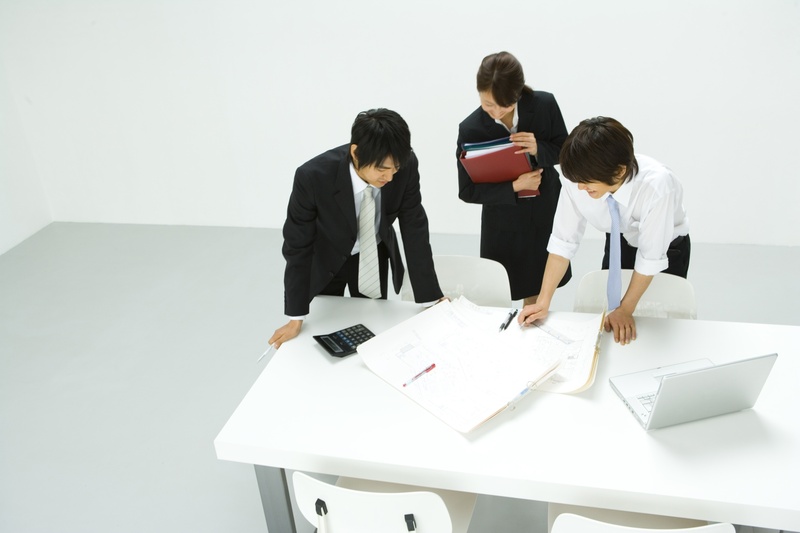 12 So while numerous ergonomic interventions -- such as task chairs -- are available for the traditional workstation, it is also very difficult to maintain good seated posture over the course of many hours. For this reason, we recommend exploring the variety of non-traditional seating options that are now available; these include “perches” or standing aids, adjustable stools, exercise balls and other creative interventions. 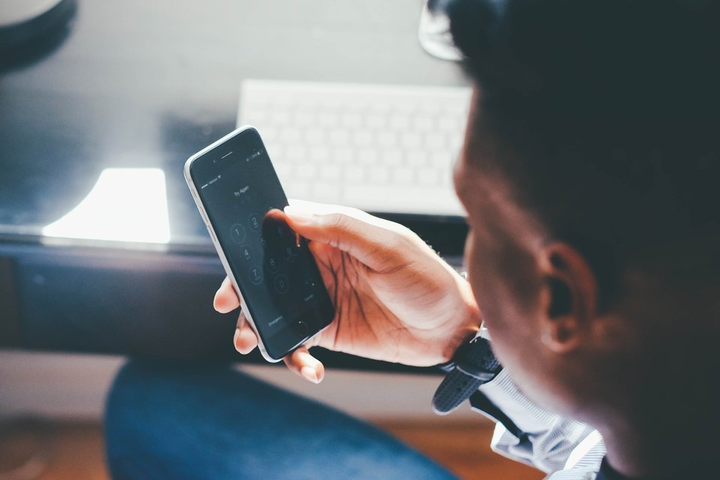 When moving between sitting, standing and everything in-between, technology will need to follow. Adjustable monitors are important to ensuring that proper ergonomic positioning can be achieved at any height, and adequate length cabling is needed to permit full-height adjustment. Activities that contribute to NEAT are all around us; however, an organization that is serious about promoting a healthier, more engaging workplace shouldn’t leave the matter to chance. Replacing a traditional static height desk with a height-adjustable workstation delivers tangible benefits to individual employees; by enabling choice over working posture and supporting movement throughout the day, employees are given more control over their daily habits and, by proxy, long term health. Next week we will review a variety of workstation features and creative seating options to promote more activity at the workstation level. Stay tuned.